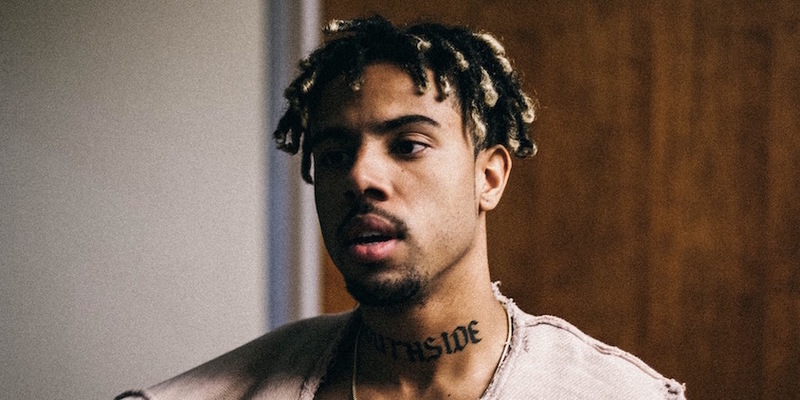 Vic Mensa is quite the influencer. His signature locs, fashion-forward style, expert picture-taking, and Kanye West cosign are altogether the stuff of every publicist (and hypebeast)’s dreams. But, what’s most influential about the 23 year-old Chicago rapper is the fact that he uses his celebrity platform to impact real change, shedding light on social injustices nationwide. Recently, Mensa encouraged voter registration with his Respect My Vote campaign and gifted registrants with a free download of his politically-charged latest project, There’s Alot Going On. If it’s one thing the guy knows how to do, it’s how to set a trend. And as the founder of the SaveMoney crew, he also knows really good music (no pun intended). Put the two together, and here we are. So for this installment of our Word of Mouth series, Chi-Town’s own put us on to these three artists he says you should know. If you don’t know ’em already, get to know ’em now. “That’s a dope singer from Chicago,” Mensa said. The singer has done shows with Mensa in the past, and the two also appeared on a track together with SaveMoney artist Dally Auston.